Being a parent isn’t for the faint of heart, it’s often deeply stressful, frustrating and tiring – thanks a lot, kids! It’s a well known fact parents have very limited sleep, suffer from fatigue and virtually have no money as it’s all spent satisfying the children. You may not notice the dramatic change all this has on a parent’s appearance but thanks to a popular Instagram account Got Toddlered there is now hilarious photographic evidence as proof. I hope she’s not hungover here because that would be brutal! 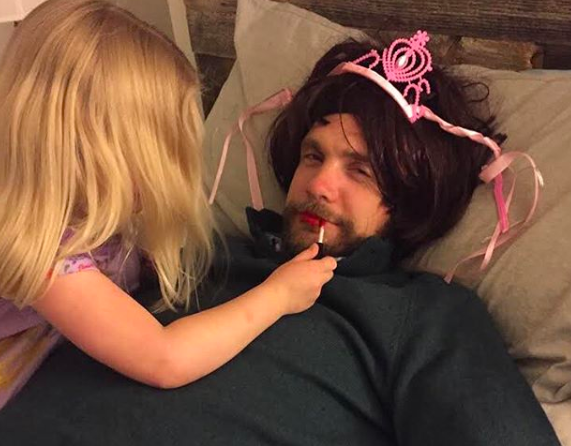 41-year-old Mike Julianelle, who also runs online blog Dad and Buried, decided to set up the Got Toddlered account a couple of years ago to share memes he created about parenthood. As a dad to two boys, aged seven and two, Mike knows a thing or two about parenting and therefore saw his memes strike a chord with people. The account was originally dedicated to the memes I made, which showed examples of things children have destroyed or irrevocably altered. One day Mike for a laugh posted side-by-side photos of himself before and after kids which saw a reader suggest he ask submissions for these comparison pictures from other people. Wanna see something REALLY scary? Here’s me, before and after I had kids! Want to play along? This October, I’m opening up Got Toddlered to your submissions of your scariest ‘Before and After Kids’ pics! If you’re not afraid, send your photos – and your IG name if you want me to share it – to [email protected] and let the nightmares begin! Of course the account then took off. I like how her mouth is also open in the second pic. Bit of a different vibe tho. Receiving much attention, the account now has 37,000 followers and counting at time of writing (May 5). The photos posted on the account are all hilarious yet painfully honest and real meaning it is easy to see why it is so popular. Some people have even messaged me to tell me I’ve made them feel OK about their own lives! Solidarity! Most people can tell it’s just for a laugh. It gives people a laugh or two — and a feeling of solidarity. I think they show the toll kids take on parents. There’s no shame in admitting that for all the peaks, there are plenty of pits. Parenting is hard, but it’s not exactly rare. We don’t all do everything the same but we share a lot of the same experiences. We should focus on those instead of judging the differences. And we should laugh about the parenting experience, or it will drive us insane. I don’t think truer words have ever been spoken! Mike also runs a blog, Dad and Buried, or you can follow his adventures on Facebook.